The Discover Scuba Diving experience contains three parts — Knowledge Development, Waterskills Development and the Open Water Dive. During the Knowledge Development session, participants learn basic dive safety information and overview skills they'll use during their open water dive. The Waterskills Development session introduces essential dive skills, such as mask clearing, regulator clearing and alternate air source use. Participants complete skills and gain confidence in confined water before diving in open water. The Open Water Dive is the focus of the program. Participants explore a local dive site under the guidance of a PADI Instructor. 1. Be 10 years or older. Additionally, for a 10 or 11-year-old Discover Scuba Diving participant, you must have both a parent (legal guardian) and the child watch the Youth Diving: Responsibility and Risks video or thoroughly review the Youth Diving: Responsibility and Risks flip chart. Both parent and child must read and sign the Youth Diving: Responsibility and Risks Acknowledgment form. A Teaching status PADI Instructor must conduct the Knowledge Development and Waterskills Development sessions and accompany participants on the first open water scuba dive. • When conducting the Waterskills Development session in a pool, the ratio is eight participants to one instructor (8:1). Ratios may be increased by two (2) per certified assistant. • When conducting the Waterskills Development session in confined open water, the ratio is four participants to one instructor (4:1). Two additional participants are allowed with the use of a certified assistant. More than one certified assistant may be used, however, the maximum ratio may not exceed six participants to one PADI Instructor (6:1). When conducting the Waterskills Development session in open water using a horizontal bar or platform, it is important that the bar or platform is positioned in shallow water so that participants can easily reach the surface. • When conducting the Waterskills Development session in open water using a vertical descent line, the ratio is one participant to one instructor (1:1). During the open water dive, the maximum ratio for the experience is four participants to one instructor (4:1). Two additional participants are allowed with the use of a certified assistant. More than one certified assistant may be used, however, the maximum ratio may not exceed six participants to one PADI Instructor (6:1). Reduce this ratio if, in your judgment, conditions or participant comfort levels warrant closer supervision. When taking 10 or 11-year-olds on an open water dive, the maximum instructor-to-participant ratio is also four to one (4:1). However, no more than two 10 or 11-year-old children may be included in a group of four participants. During any open water dive, instructors may not engage in any activities other than direct supervision. If other activities such as video or photography are conducted, then a separate certified assistant is to be used for those activities. After participants have satisfactorily completed their first open water scuba dive, insured (where required/appropriate) PADI certified assistants may conduct subsequent dives at a ratio of two participants to one certified assistant (2:1). A Teaching status PADI Instructor must indirectly supervise all subsequent dives. The maximum depth for any Discover Scuba Diving open water dive is 12 metres/40 feet. The ratios listed are maximums. This means you should use them only if, in your judgment, all factors are optimum. As noted in the "General Standards and Procedures" section — consider whether you can maintain appropriate control in the prevailing conditions, perform the required evaluations, meet the required standards and provide a positive experience for participants. Equipment are required based on the individual and environment. Because snorkel-swimming skills are not part of the Discover Scuba Diving experience, snorkels are optional. 4. When 10 or 11-year-olds participate in Discover Scuba Diving, you must use either the Youth Diving: Responsibility and Risk video or flip chart and the Youth Diving: Responsibility and Risk Acknowledgement form. Recommended materials include the video - DS/DSD Skill Presentation Video -which explains the program and overviews the waterskills. Also, the Passport to Adventure - PADI Scuba Experience Log adds value to the program by allowing participants to document their experience. Each participant must demonstrate mastery of the true/false Discover Scuba Diving Review from the PADI Discover Scuba Diving Flip Chart. Participants must initially answer all questions correctly, or have each missed question explained to them until they understand the answer. Participants must sign and date the statement at the end of the review to verify completion and that any incorrect items were explained and understood. The Discover Scuba Diving Review must be completed prior to the open water dive. The instructor, PADI Dive Center or Resort must retain a written record of the review. Discover Scuba Diving participants qualify to make additional supervised open water dives within 12 months of completing an entire Discover Scuba Diving experience. The participant may choose to dive with the original instructor, dive center or resort, or may travel to another location to make subsequent dives. Before taking a Discover Scuba Diving participant on additional dives, verify that the participant completed a Discover Scuba Diving program within the past 12 months. Have the participant complete and sign another Discover Scuba/Discover Scuba Diving Statement (if the subsequent dives are not done with the original dive center or instructor). You must preassess the participant's skills and knowledge prior to any subsequent dives. Participants who have completed a Discover Scuba Diving experience within 12 months may receive referral credit toward the PADI Scuba Diver or Open Water Diver certification. At your discretion, you may credit participants for completing Open Water Diver course Confined Water Dive One and Open Water Training Dive 1. This link provides strong motivation for participants to continue their education. 1. 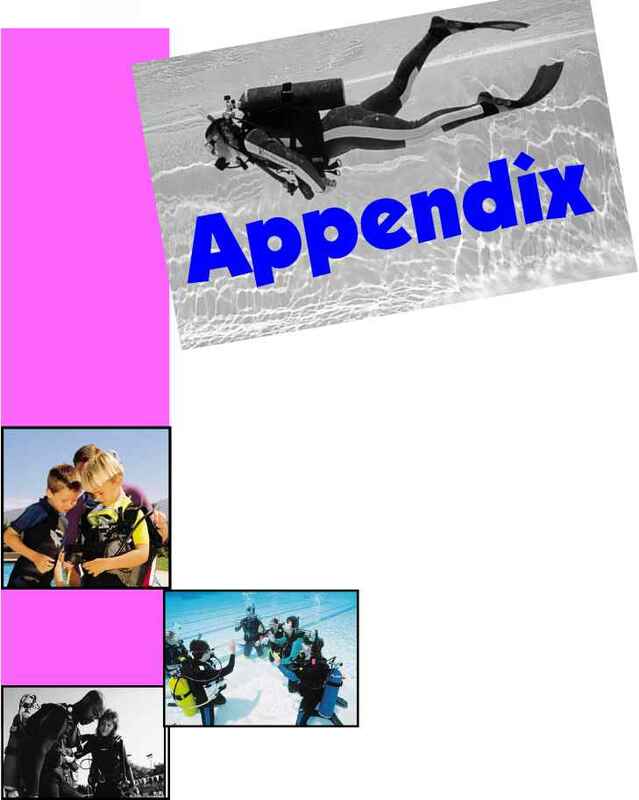 Complete the relevant sections of the Open Water Diver Course Record and Referral Form. 2. Complete and sign the participant's PADI Scuba Experience Log. For the programs you conduct, you must register Discover Scuba Diving participants with your PADI Office - Certifications Department. Registering Discover Scuba Diving participants allows you to receive credit for your teaching efforts and documents your professional activities. It's important for quality management reasons and helps your PADI Office track the consumer interest in scuba diving. Registering Discover Scuba Diving participants is easy when you: 1) send in the completed top portion of the Discover Scuba/Discover Scuba Diving Statement that includes participant and instructor information, or 2) complete and submit the Discover Scuba Diving Registration Form which has eight spaces for participant information. • Participant name, address, phone number and birth date. You must register participants within 30 days of their first open water dive. You may receive instructor credit equivalent to one PADI Open Water Diver certification for each five registered Discover Scuba Diving participants. You are eligible for this credit only when you conduct the entire Discover Scuba Diving program. These credits may apply toward PADI Specialty Instructor, Master Scuba Diver Trainer, IDC Staff Instructor and Master Instructor ratings. Specific to the Master Instructor rating, a maximum of 75 certification credits may come from the Discover Scuba Diving program. The brief Knowledge Development session provides Discover Scuba Diving participants with the basic knowledge necessary for an enjoyable experience. Use the Discover Scuba Diving Flip Chart to conduct this session where it is convenient and comfortable for participants — in a classroom, poolside, on the beach or aboard a boat, etc. 1. Describe the qualifications of and opportunities available to a Discover Scuba Diving participant. 2. Describe how changes in pressure during ascents and descents through water affects a volume of air. 3. Define the term "equalization" as it relates to the body's air spaces during descent and ascent. 4. Explain when and how to equalize the ears and mask while descending underwater. 5. Explain what to do if discomfort is experienced in the ears, sinuses or mask during descent and cannot be relieved through equalization. 6. State the most important rule of scuba diving and briefly explain the consequences of failing to follow it. 7. Describe proper breathing techniques used while scuba diving. 8. State two reasons why a diver should not touch unfamiliar aquatic life. 9. Demonstrate and recognize the following hand signals: Okay?/ Okay! ; Stop; Up, Down; Out of air; Come here; Ear problem; Slow down/Take it easy; Something is wrong; Watch me; Check Your Air Supply. 10. State the purpose of the following pieces of basic diving equipment: mask, fins, BCD, BCD inflator, regulator, air gauge and alternate air source. 11. Describe how to locate the air gauge, and explain how to recognize the "caution zone" on it. • Have participants watch the DS/DSD Skill Presentation Video (if available in a language participants understand.) You may show the video to participants during this session or have them watch it independently prior to the session. Consider reviewing the skills portion of the video just prior to the Waterskills Development Session. 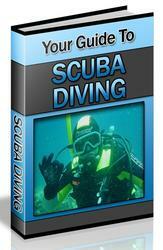 • Present information using the Discover Scuba Diving Flip Chart as a guide. 1. Make sure participants can clearly see the flip chart. 2. Don't overteach — you don't need to present as much detail as you might include for a certification course. Avoid saying more than necessary to make a concept clear. 3. Avoid technical and medical terms. 4. Be sure participants understand illustrations before progressing. 5. Use equipment for demonstrations during the presentation. 6. Have participants read important information aloud. 7. Only overview skills during the "Using Scuba Equipment - Skill Development Preview" — save skill explanations for Waterskills Development. • Have participants complete the Discover Scuba Diving Review and mark their answers on the answer sheet included on the Discover Scuba/Discover Scuba Diving Statement. • Check participant answers and review any missed questions until the participant understands the information. • Have the participants sign and date their reviewed Discover Scuba Diving Review and keep for your records. The Waterskills Development session allows Discover Scuba Diving participants to become comfortable with scuba equipment and gain confidence with basic scuba skills before the open water dive. Participants learn and practice skills in either a swimming pool or other confined water environment, or in open water using lines or a hang bar from a surface support station, such as a boat, platform or float. Waterskills development is performance based. Participants must demonstrate all skills before participating in the open water dive. 1. Don and adjust mask, fins, snorkel, BCD, scuba and weights with the assistance of a buddy, instructor or certified assistant. 2. Inflate/deflate a BCD at the surface using the low-pressure inflator. 3. In shallow water, demonstrate proper compressed air breathing habits; remembering to breathe naturally and not hold the breath. 4. Clear a regulator while underwater using both exhalation and purge-button methods and resume normal breathing from it. 5. In shallow water, recover a regulator hose from behind the shoulder while underwater. 6. In shallow water, clear a partially flooded mask while underwater. 7. Swim underwater with scuba equipment while maintaining control of both direction and depth, properly equalizing the ears and mask to accommodate depth changes. 8. While underwater, locate and read the submersible pressure gauge and signal whether the air supply is adequate or low based on the gauge's caution zone. 9. In shallow water, breath underwater for at least 30 seconds from an alternate air source supplied by the instructor. 10. While underwater, recognize and demonstrate standard hand signals. 11. Demonstrate the techniques for a proper ascent. Conduct waterskills development in a swimming pool or other confined water environment whenever possible. In areas where confined water is not accessible and open water conditions are suitable, you may conduct the Waterskills Development session off a boat or other surface support station. For support and control when using this open water option, have a descent line, hang bar or platform available for participant use. Introduce and have participants practice skills at approximately one metre/a few feet below the surface. When practicing skills that require shallow water, participants must be able to reach the surface as easily as if they could stand up. This open water waterskills development option only applies to the PADI Discover Scuba Diving experience — not to any other PADI course or program. 1. Briefing — Get everyone to relax and explain the procedures you'll follow and review hand signals. 2. Mask defogging — Show participants how to defog their masks. 3. Equipment Preparation and Donning — It's recommended that you have scuba units set up in advance. Whenever possible, have participants put on equipment in the water. Help participants adjust all equipment for proper fit. 4. BCD Inflation and Deflation at the Surface — Show participants how to use the low-pressure inflator and the deflator to fill and empty the BCD at the surface, then have them practice. Explain that you or your assistant will make all adjustments to the BCD while underwater, and that they should only use the inflator at the surface, and only deflate the BCD when instructed to do so. 5. Introduction to Scuba — Have participants breathe from scuba above water, then descend slightly to experience breathing underwater. Remind participants not to hold their breath and to breathe slowly and deeply at all times. Allow sufficient time for participants to relax and enjoy the sensation of breathing underwater. 6. Regulator Clearing — Demonstrate both the exhalation and purge method of clearing and have participants practice. This skill may be combined with regulator recovery. 7. Regulator Recovery — Demonstrate regulator recovery and have participants practice. 8. Mask Clearing — Demonstrate and have participants practice clearing a partially filled (below eye level) mask. Emphasize proper positioning and continuous exhaling through nose. 9. Underwater Swimming — Have participants practice swimming underwater. Encourage proper kick techniques, but the primary concern is that participants will be able to relax while swimming during the open water dive. You may need to make weight adjustments at this point. 10. Ear and Mask Equalization — Review ear/mask equalization, then have participants practice while descending. 11. Air Gauge Use — While underwater, give the air supply check signal and have participants locate their air gauges and check whether they are in the gauge's "caution zone." 13. Alternate Air Source Use — Demonstrate the skill, then have participants locate, secure and clear your alternate air source. Each participant must breathe underwater from your alternate air source for at least 30 seconds. • Wait until you signal to ascend and stay close to you. • Swim slowly up a line or bottom contour while breathing normally. • Upon reaching the surface, inflate their BCD. • Keep their mask on and regulator in until exiting the water. 15. Time for fun and skill practice — If time allows, maintain direct supervision and permit participants to swim, get familiar with scuba and practice skills as necessary. 16. Equipment Removal and Debriefing — Help participants take off equipment and get out of the water. Remind them of the time and location to meet for the open water dive. If using the open water option, you may progress directly to the open water dive. If possible, conduct waterskills development on the same day, just prior to the open water dive. This allows for a smooth transition from confined water to open water. The Discover Scuba Diving Open Water Dive embodies the Dive Today philosophy. Participants move quickly from being curious nondivers to underwater explorers checking out a local dive site under the guidance of a PADI Instructor. Because the intent of the Discover Scuba Diving program is to motivate participants to continue their dive education, the dive must be easy and enjoyable. 1. Evaluate open water conditions conservatively when deciding whether to conduct Discover Scuba Diving and when determining appropriate ratios. Good environmental conditions can enhance the experience, while marginal conditions may detract from participant enjoyment. Your judgment plays a primary role in determining the appropriateness of conducting the program. 2. Watch for anxiety in participants and also consider participant age and ability. You may want to reduce ratios when participants exhibit excessive anxiety or need lots of assistance prior to the dive. Use additional PADI certified assistants during the dive, if possible, to provide an extra measure of control. 3. For participant comfort, minimize time wearing equipment out of water before or after the dive. Make entries and exits as quickly as possible to minimize time floating at the surface. 4. Because participants have not been trained in underwater buoyancy control, you should make any necessary buoyancy adjustments for them while underwater. Make descents onto a bottom free of sensitive organisms. 5. Although participants learned basic hand signals, you should carry your Discover Scuba Diving Instructor Slate so you can point to phrases if necessary. 6. Check each participant's air frequently. 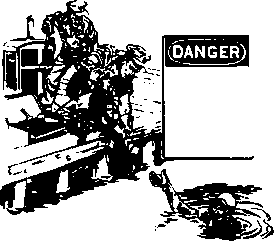 Plan to end the dive with sufficient air for participants to exit the water while continuing to breathe from their tanks. After the experience, provide participants with recognition materials and/or documentation of training. Explain how and where they may continue their dive education and make additional scuba dives. Many people think that space is our final frontier and that is not entirely true. While it is more difficult to get to outer space, we probably know more about the various planetsand environments in space than wedo about what lies beneath the surface of our oceans.